Deadpool is on fire, literally and figuratively, in the back half of 2018. He survives being burned alive in two of his four comic appearances in Week 36 and is now burning up the Fantasy Comic League charts after a widely regarded slow start to the year. 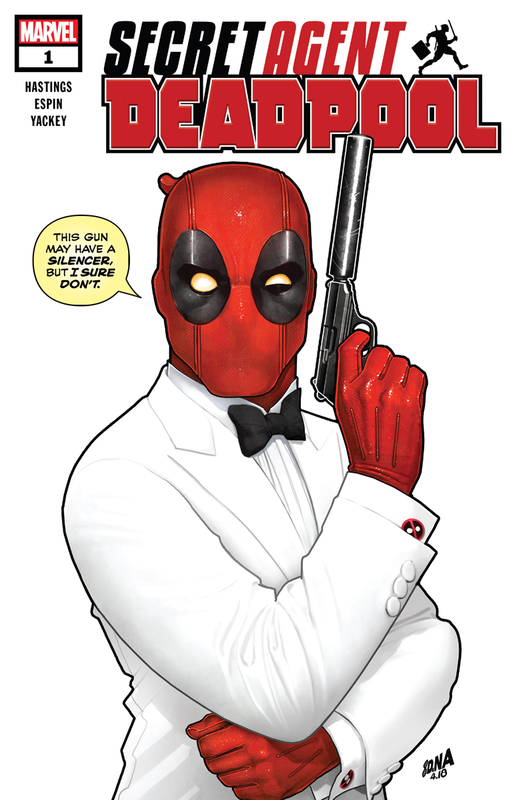 In the first half of 2018, Deadpool only averaged 7.7 points while averaging 1.6 appearances in the 17 weeks he appeared in a comic. In the 10 weeks since the halfway mark, he has averaged 10.9 points over an average of 1.8 appearances. His second Hero of the Week title in four weeks also represents the most points in a single week by a character this year. His 26 points nearly triples the Venom’s performance. Venom, currently staring in yet another symbiote-based weekly event, sits in second with nine points. Storm, coming in at third with eight points, stars in the book of the week. X-Men: Gold wraps up Storm’s recent return to Africa and the Stormcaster hammer storyline while featuring four drafted characters scoring a cumulative 19 points. An eventful four-way tie for the fourth best performance in the week includes Captain America, Hulk, The Rider and the Wasp. Cap teams up with Black Panther in his solo title; Bruce Banner puts an end to a rampaging Sasquatch; Cosmic Ghost Rider takes out wave after wave of Cable-led, time-displaced Guardians; and Nadia finishes her journey to the Microverse and forms a bond with Scott Lang. The aforementioned team-up with Captain America earns Black Panther eighth place with six points. Domino and Logan round out the top performances to start the new season of the Fantasy Comic League. They each score five points. Four freshmen Fantasy Comic League draft picks make their mark in the week, but fail to crack the power rankings. Mystique and Kaine Parker respectively earn three points in Weapon X and Ben Reilly: Scarlet Spider, while Havok and Warpath only notch one point apiece in an Astonishing X-Men issue which sets them up to partner with the Reavers.